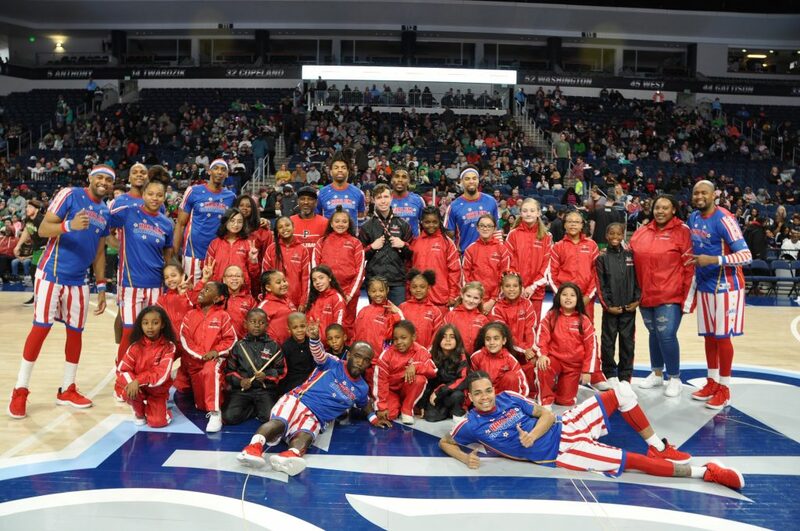 Parkway Elementary School’s Step Team performed at the half time show for a Harlem Globetrotters Basketball Game. Rosemont Elementary School’s Allison Sam tosses “Saturn’s rings” into a “black hole” target. 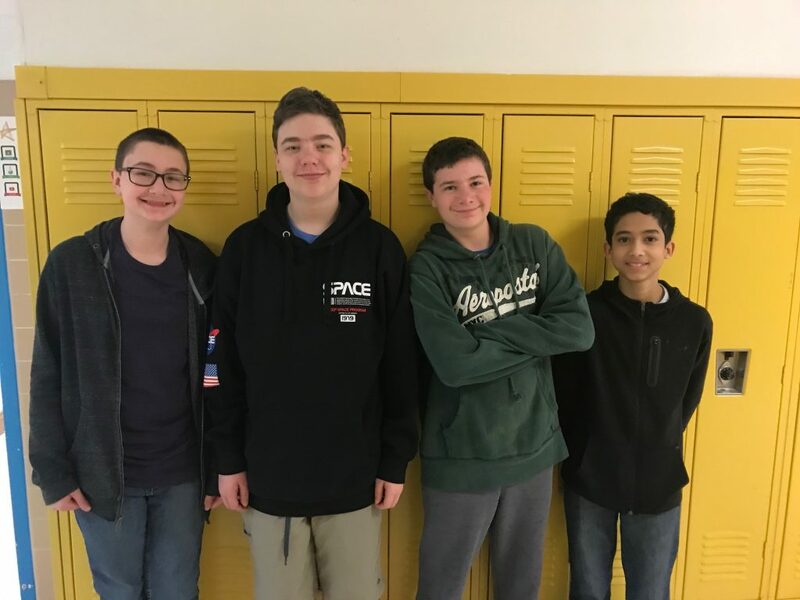 Brandon Middle School’s Lucas Gordon, Lukas Price, Auden Donovan, and Daniel Colon took second place at the Physics Olympics. 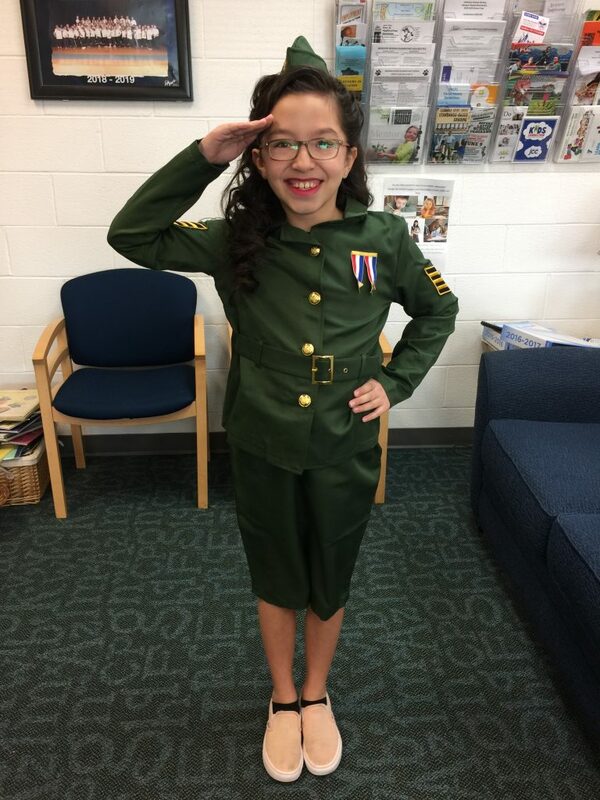 Carelis Bernard, a fourth-grader at Windsor Woods Elementary School, dressed for SCA’s Past and Present Day. 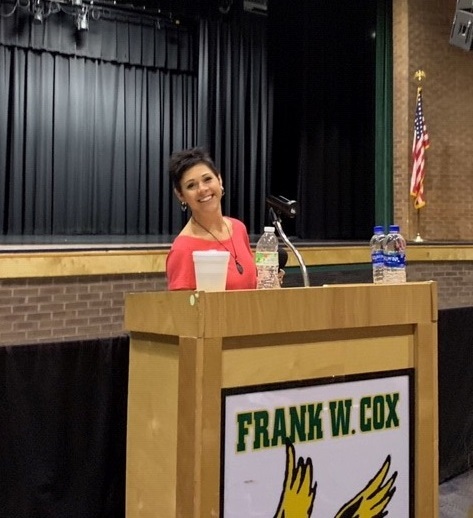 Cox High School welcomed Falcon Forum motivational guest speaker Rochelle Wellams. 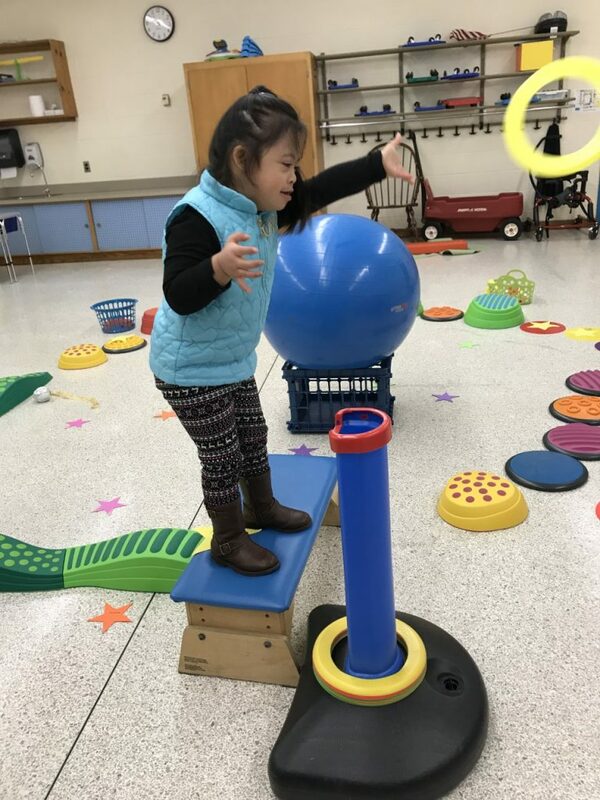 Many itinerant therapists from the Special Education Annex donned their odd socks in observance of World Down Syndrome Day, March 21. 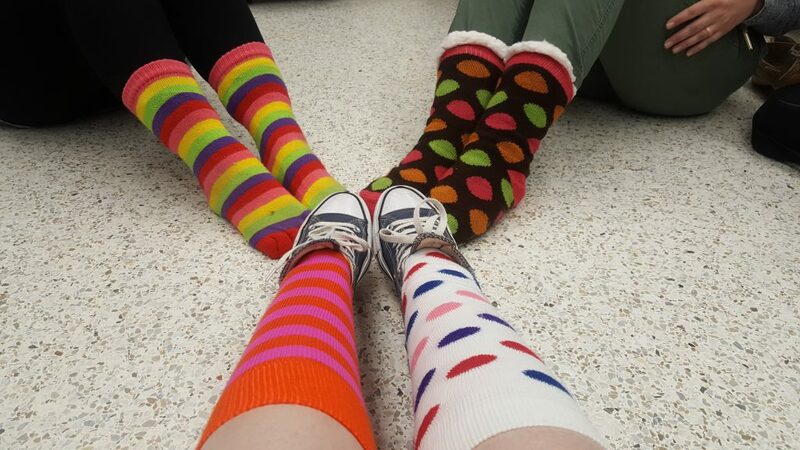 Socks were chosen as a symbol because just like socks, chromosomes come in pairs. 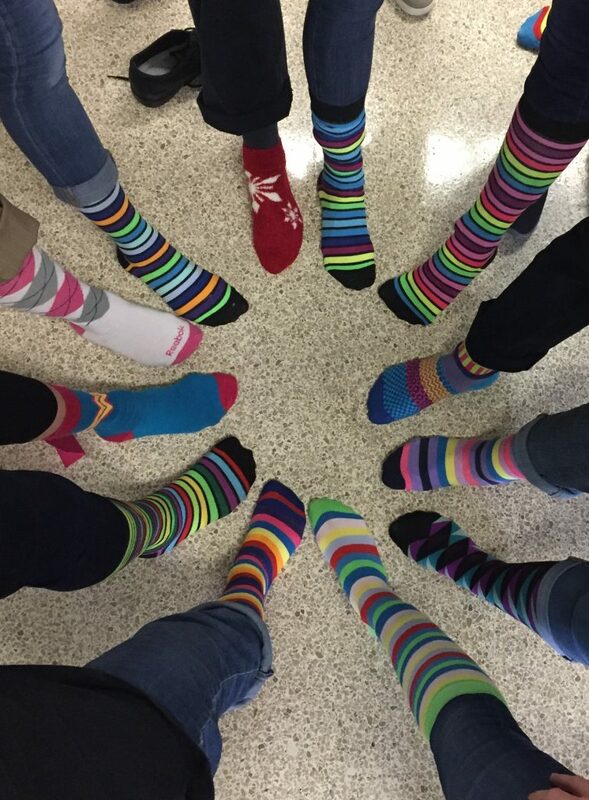 Rosemont Elementary staff members also wore fun, crazy socks to celebrate World Down Syndrome Day. Rosemont Elementary School students Jeffrey Milan, Journey Cole, Emerson Aasen and Allison Sam sent their rockets to the sky. 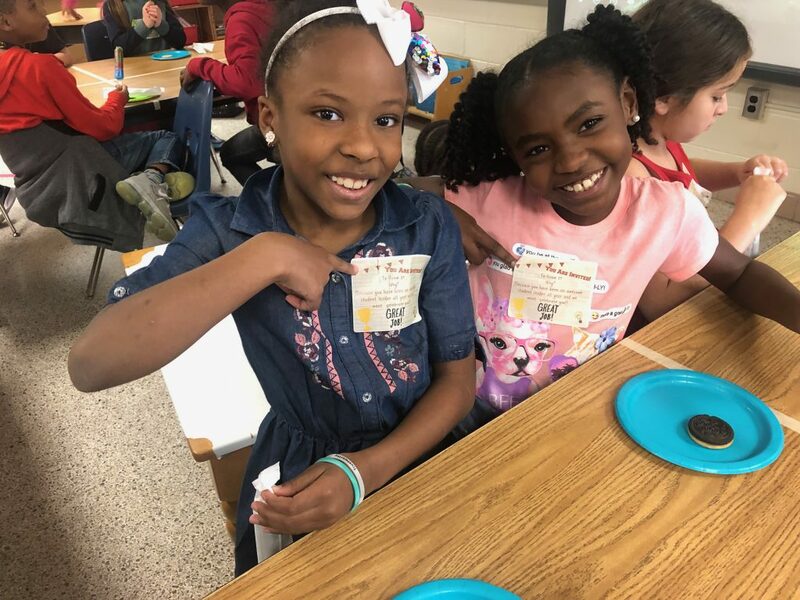 Third graders Laylah Augustin and Aubrey Joseph at Point O’View Elementary School celebrate their recognition as student leaders. 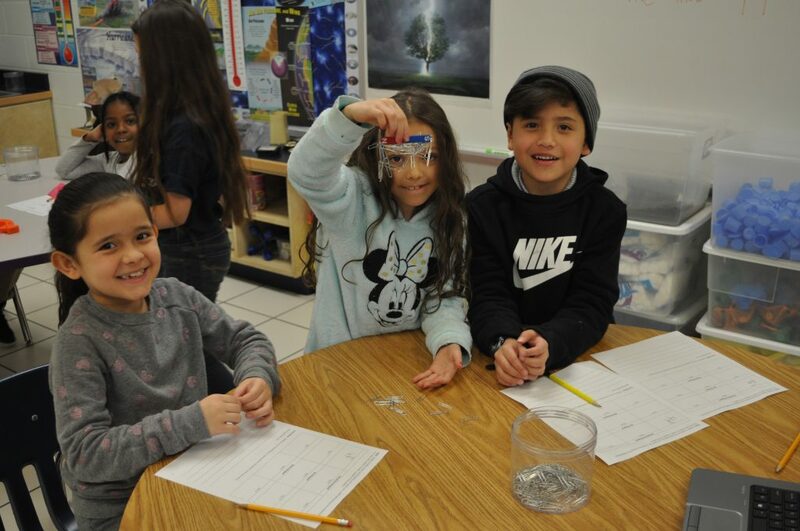 Newtown Elementary School students Nahiomy Soto Nunez, Maria Houghton, and Christian Rivera Quintana explored the concepts of magnetism and tested to see which magnet is strongest based on which one can pick up the most magnets. 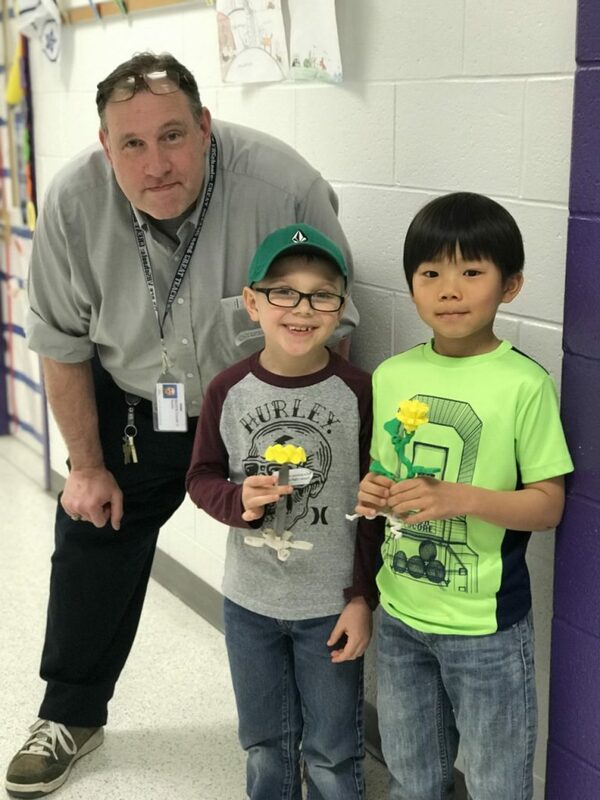 Arrowhead Elementary School first-graders Grant Early and Ethan Lee worked with ITS David Crouse to create prototypes of a plant with the 3D printer. 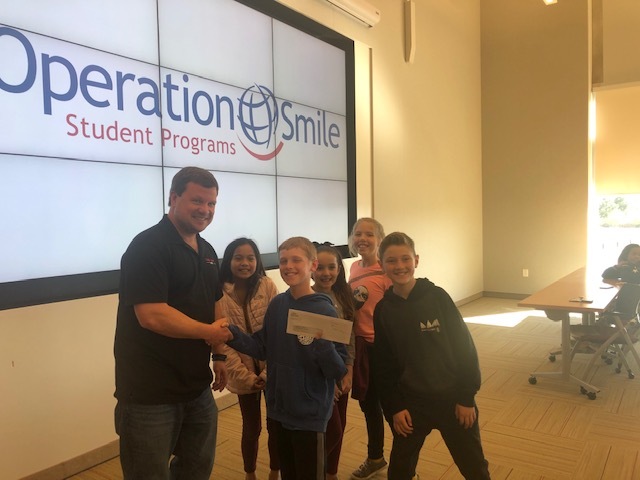 Princess Anne Elementary SCA members presented proceeds from a Smilegram fundraiser, a check for $500, to Operation Smile Student Programs Associate, Pete Hansen. 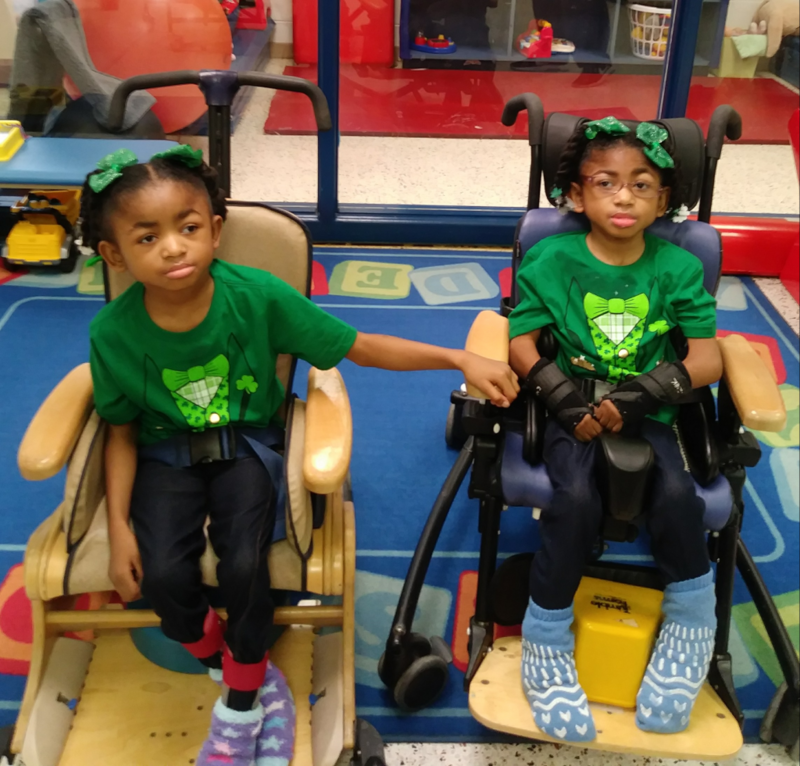 Pembroke Elementary students Mia and Mya Hughes dressed for St.Patrick’s Day. 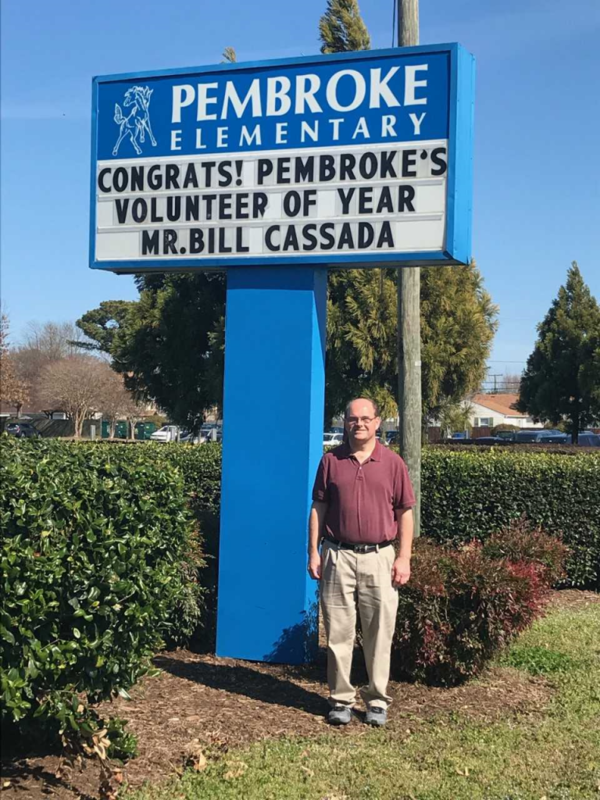 ID Teacher Assistant Bill Cassada was recongized as Pembroke Elementary’s 2019 Volunteer of the Year. 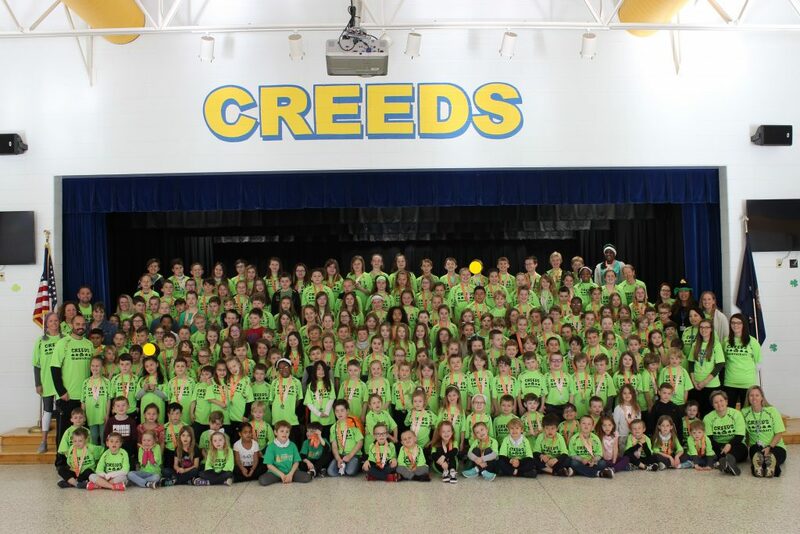 Seventy percent of Creeds Elementary School participated in the Shamrock Final Mile. 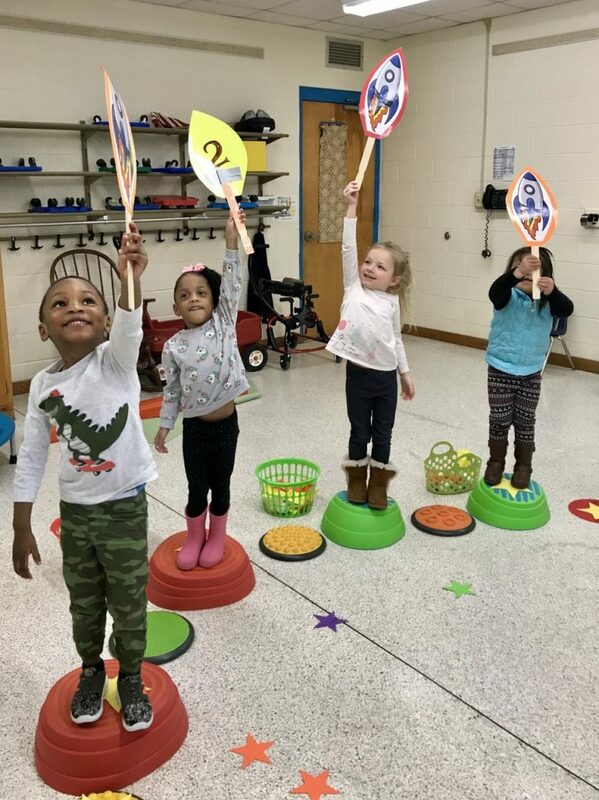 It’s the fifth year in a row that the school has earned the award for most participation from a school in Virginia Beach.